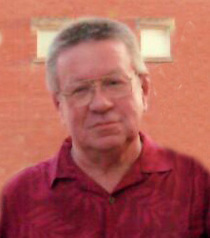 Gary G. Hoskinson, 77, of Woodsfield, Ohio passed away Friday March 29, 2019 at Wheeling Hospital. He was born in Monroe County Ohio April 22, 1941 a son of the late Roy E. Hoskinson and Ella Grant Hoskinson. Gary was retired from Ormet Aluminum Hannibal, Ohio after 38 years of service. He was a member of St. Sylvester Catholic Church Woodsfield and a US Army veteran. Preceded in death by his brother Roy W. Hoskinson and his sister Betty Covert. There will be no visitation. Inurnment will be held at a later date. Arrangements by Bauer-Turner Funeral Home, Woodsfield, Ohio.